All About Real Estate is proud to present to the market this enormous family home. Set back from the street with a screen of tropical gardens to shelter it, this expansive family home is bigger than it seems! 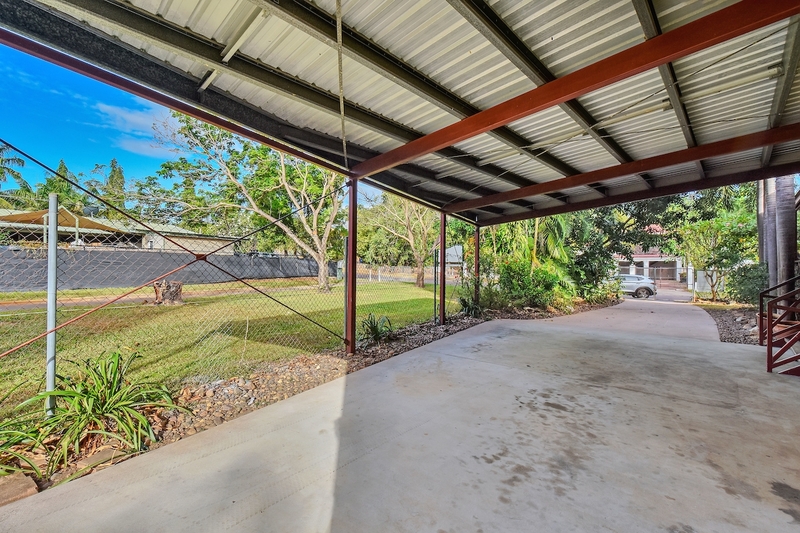 A double gated driveway swings wide to showcase the long driveway and carport parking bay where you can easily park 4! 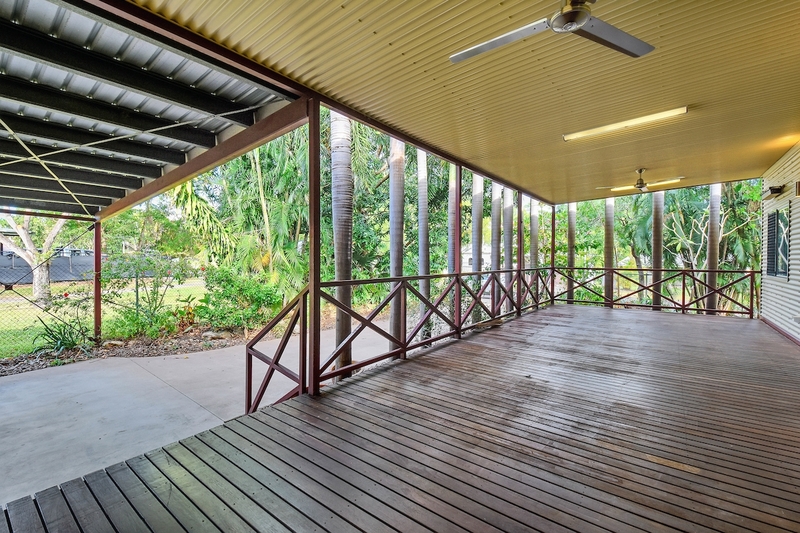 Step up onto the quaint front verandah that is framed with timber railings with decking underfoot – this is a shady and private space to entertain or unwind after a long day in the office. Again, double opening doors swing wide to present a formal foyer entry to the home; greet guests or drop your handbag and shoes before stepping up into an enormous open plan living, dining and kitchen area with timber look flooring and wide open spaces to utilise. The kitchen has wrap around counters along with overhead storage and a pantry and fridge nook. 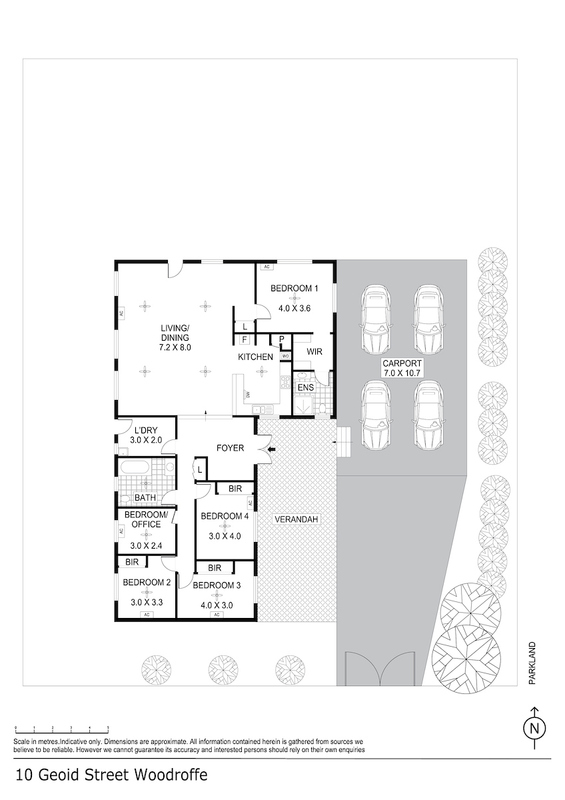 The master bedroom is set at the opposing end of the home to the others for maximum privacy and it also includes a walk through robe with a bounty of storage plus an ensuite bathroom. Three more bedrooms plus an optional home office / bedroom reside at the other end of the home, three have built in robes, all have A/C and timber look flooring along with large tinted windows. 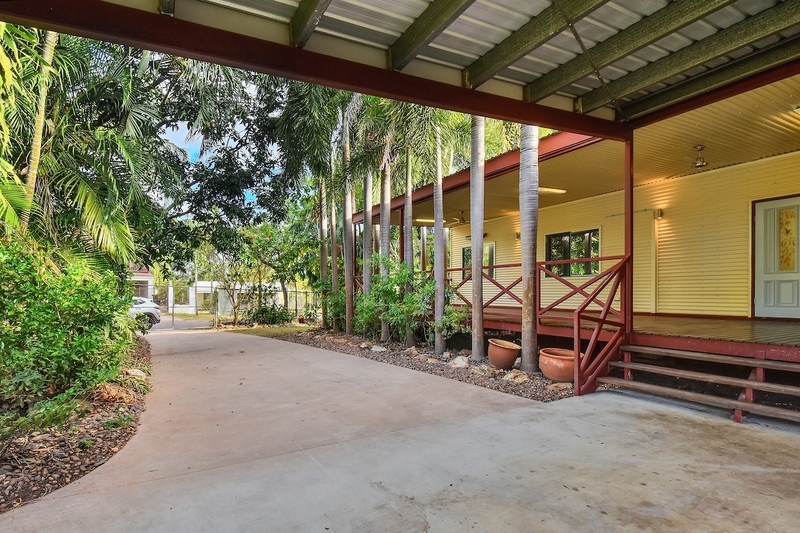 Outside in the yard there is endless rolling green lawns and wide open spaces with a ring of tropical gardens around the outside to shelter from the neighbours and the side parklands and walkways through to play areas for the kids. Ideal for the large family, this home is spacious and grand in design and won’t disappoint. 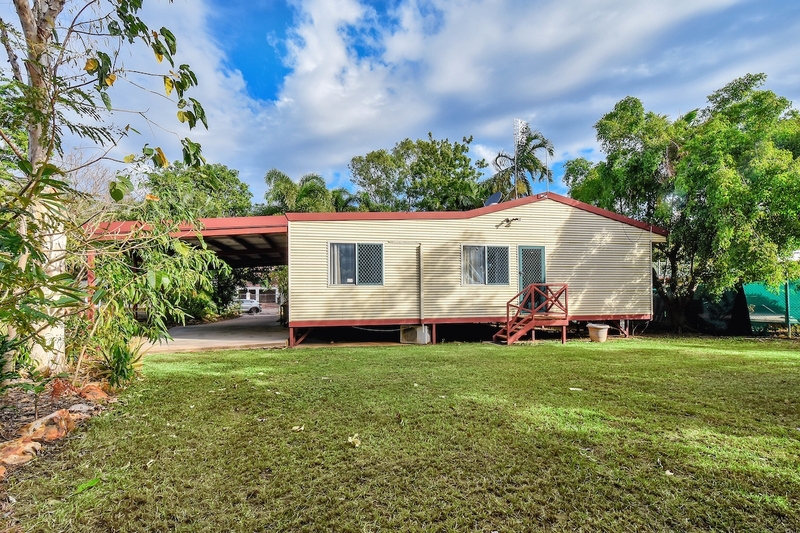 Move in ready – bring your suitcase because this could be your new family home.